Word & Picture Quiz: one word, one photo, one answer! Added new category: Famous people! And new content added in the Arcade category. 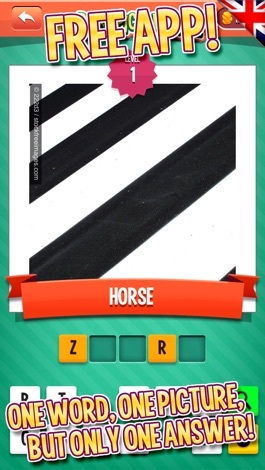 » Word & Picture Quiz: one word, one photo, one answer! 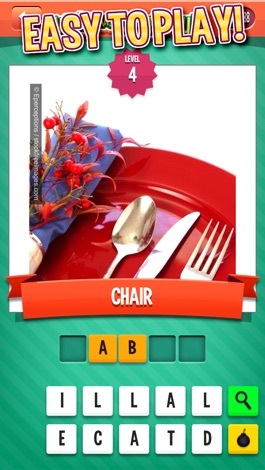 If you love puzzles, you’ll love Word & Picture Quiz! In Word & Picture Quiz, you’re given a word, an image, and twelve scrambled letters to arrive at ONE ANSWER. These mind-bending challenges come in five different categories: easy, arcade, hard, celebrities, and movies. Each riddle is trickier than the last! How many can you solve? Word & Picture Quiz is 100% free to try! Even though the riddles are hard, the layout of this app is basic. 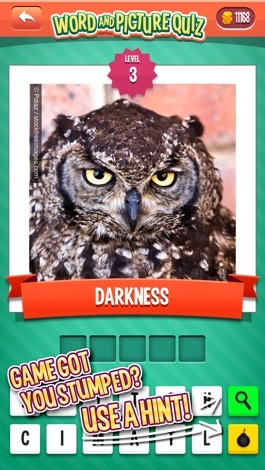 Simply click on the provided letters to spell your guesses. Are you stuck? No worries! When you answer a question, you’re awarded “hint coins.” With those points, you can later on buy hints. If you want more hint coins you can buy this in the store. Once you’re hooked, you’ll be taking this app out on the subway train, in the car, at the bus stop, and waiting in line. It’s a great way to pass the time, and the word possibilities are endless – from sea creatures to automobiles, from inventions to Oscar-winning actors. Where will each word and pic take you next? Word & Picture Quiz has five different categories. Warm up with the Easy version. Bust your brain with the Hard version. Test your pop culture knowledge with the Celebrities and Movies categories. Or climb the ladder of difficulty in the Arcade version! How far can your mind stretch? 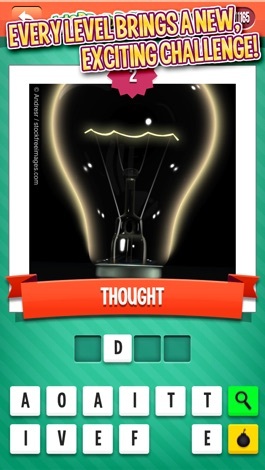 Download Word & Picture Quiz: one word, one photo, one answer!